Lists market segment & Product Group brochures and nine videos. SRS Crisafulli. View our video library here. 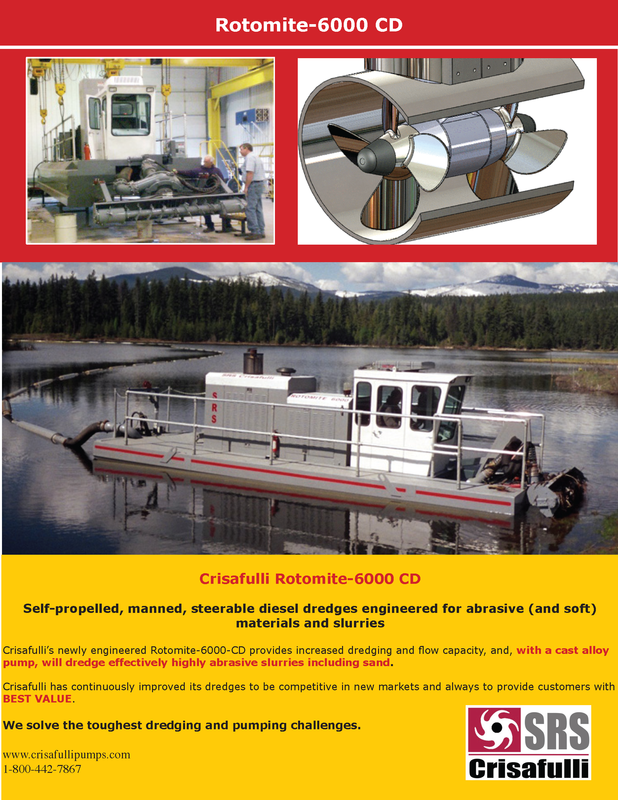 Crisafulli's Rotomite-6000 CD provides increased dredging and flow capacity and will dredge highly abrasive slurries - including sand! Contractors, Municipal and Industrial Facilities Managers remove settled solids faster and more easily than ever with Crisafulli's Rotomite-6000 dredge. To carry the dredged sludge from the dredge to the designated disposal site, typically on land, the Crisafulli Dredge uses Crisafulli Integral Floating Discharge Line. Opens in new window, press play. 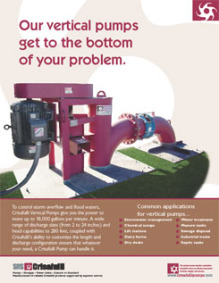 Our vertical pumps get to the bottom of your problem. 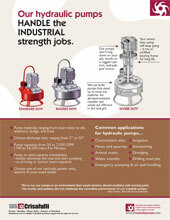 Our hydraulic pumps handle the industrial strength jobs. 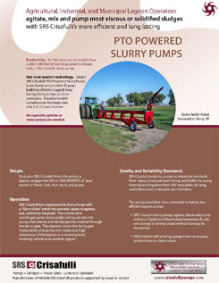 All models available with optional slurry gate. 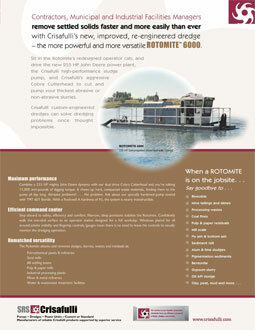 A floating solution to a variety of applications which require reliable, efficient means of supporting floating pumps.